This is a close up of the west face of the cross head of the North Cross, Monasterboice. Jesus' arms are stretched out diagonally, two figures of Stephaton and Longinus are also depicted. Archdall, M., Monasticon Hibernicum: or, an history of the Abbies, Priories, and other religious houses in Ireland 1, , Dublin (1786) . Brandt-Forster, B., Das Irische Hochkreuz. Ursprung -Entwicklung - Gestalt 1, , Stuttgart (1978) . Brash, R. R., , ‘The Sculptured Crosses of Ireland, what we learn from them’. In Journal of the Royal Society of Antiquaries of Ireland (1872/74) 12, 98-112. Cone, P., Treasures of Early Irish Art 1500 B.C. to 1500 A.D. 1, , New York (1977) . Wyndham-Quin, E., Notes on Irish Architecture II (ed. M. Stokes) 1, G. Bell, London (1877) . Fennell, W. J., , ‘Muiredach's High Cross at Monasterboice’. In Belfast Municipal Art Gallery and Museum, Quarterly Notes (1909) 13, 11-14. Garstin, J. R., , ‘Some inscriptions in Irish in the county of Louth’. In Journal of the County Louth Archaeological Society (1921) 5, 3-12. Gsanger, H., Irland, Insel des Abel, die Irischen Hochkreuz 1, , Freiburg i. Br. (1972) . Guest, E. M., , ‘Irish Sheela-na-Gigs in 1935’. In Journal of the Royal Society of Antiquaries of Ireland (1936) 66, 107-129. Harbison, Peter, , ‘Animals in Irish Art - 2. Animals with interlocking necks’. In The Arts in Ireland (1974) 2, 4, 54-63. Harbison, Peter, , ‘The Inscriptions on the Cross of the Scriptures at Clonmacnois, County Offaly’. In Proceedings of the Royal Irish Academy, sect. C (1979) 79, 177-188. Haseloff, G., , ‘Irland’. In Propylaen Kunstgeschichte, Supplementband IV (1979) 223-243. Roth, H., Propylaen Kunstgeschichte, Supplementband IV 1, , Berlin (1979) . Henry, F., , ‘Remarks on the Decoration of three Irish Psalters’. In Proceedings of the Royal Irish Academy, sect. C (1960) 61, 23-40. Lowry, D. E., , ‘The Great Cross of Muiredach at Monasterboice’. In The Irish Naturalist's Journal (1929) 2, 242-245. Lucas, A. T., , ‘The West Cross, Monasterboice: a note and a suggestion’. In Journal of the County Louth Archaeological Society (1951) 12, 3, 123-125. MacAlister, R. A. S., Muiredach, Abbot of Monasterboice 890-923 A.D., His Life and Suroundings 1, , Dublin (1914) . MacAlister, R. A. S., , ‘Monasterboice’. In The Archaeological Journal (1931) 88, 354-357. MacAlister, R. A. S., , ‘The Panel representing the Tradition Evangelli on the Cross of Muiredach at Monasterboice’. In Journal of the Royal Society of Antiquaries of Ireland (1932) 62, 15-18. MacAlister, R. A. S., , ‘The Ancient Inscriptions of Kells’. In Journal of the Royal Society of Antiquaries of Ireland (1934) 64, 16-21. MacAlister, R. A. S., Monasterboice, Co. Louth 1, , Dundalk (1946) . Mason, T. H., , ‘The Devil as depicted on Irish High Crosses’. In Journal of the Royal Society of Antiquaries of Ireland (1942) 72, 131-135. Multhaupt, H., Glaubensspuren, Meditationen zu Irischen Hochkreuzen 1, , Regensburg (1980) . Petrie, G., , ‘The Ecclesiastical Architecture of Ireland, anterior to the Anglo-Norman Invasion; comprising an essay on the origin and uses of the Round Towers of Ireland’. In Transactions of the Royal Irish Academy (1845) 20, 1-521. Petrie, G., Christian Insciptions in the Irish Language II (ed. M. Stokes) 1, , Dublin (1878) . Raftery, J., Christian Art in Ancient Ireland II 1, , Dublin (1941) . Ní Chatháin, P. Richter, M., Irland und Europa, Die Kirche im Frühmittelalter - Ireland and Europe. The Early Church 1, , Stuttgart (1984) . Rivoira, G. T., Lombardic Architecture II 2, , Oxford (1933) . Roe, H. M., , ‘The High Crosses of Co. Louth. A Photographic Survey with notes on the Monuments’. In Seanchas Ardmhacha (1954) 1, 1, 101-114. Roe, H. M., , ‘Muiredach's Cross, Monasterboice’. In Ireland of the Welcomes (1963) 2, 5, 17-21. Roe, H. M., , ‘Ireland and the Archangel Michael’. In Millénaire monastique du mont Saint-Michel III. Culte de Saint Michel et pèlerinages au mont (1971) 481-487. Roe, H. M., , ‘The cult of St. Michael in Ireland’. In Folk and Farm, Essays in Honour of A. T. Lucas (1976) 251-264. Ó Danachair, C., Folk and Farm. Essays in Honour of A. T. Lucas 1, , Dublin (1976) . Roe, H. M., Monasterboice and its Monuments 1, County Louth Archaeological and Historical Society, Louth (1981) . Schiller, G., Ikonographie der Christlichen Kunst II. Die Passion Jesu Christi 1, , Gutersloh (1968) . Schiller, G., Iconography of Christian Art II. The Passion of Jesus Christ 1, , London (1972) . Smith, J. H., , ‘Ancient Stone Crosses in Ireland’. In Ulster Journal of Archaeology (1853) 1, 53-57. 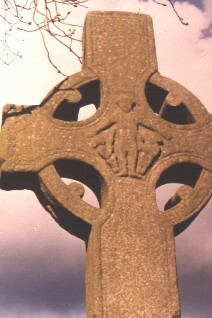 Stephens, F. E., , ‘The Tall Cross at Monasterboice’. In Journal of the Royal Society of Antiquaries of Ireland (1913) 43, 267. Stone, L., Sculpture in Britain. The Middle Ages 1, , Harmondsworth (1955) . Walcha, G., Beitrage zur Bandgeflecht - Ornamentik in Schottland. 10. Veröffentl. D. Abteilung Architektur des Kunsthist 1, Inst. D. Univ. Köln, Cologne (1976) .